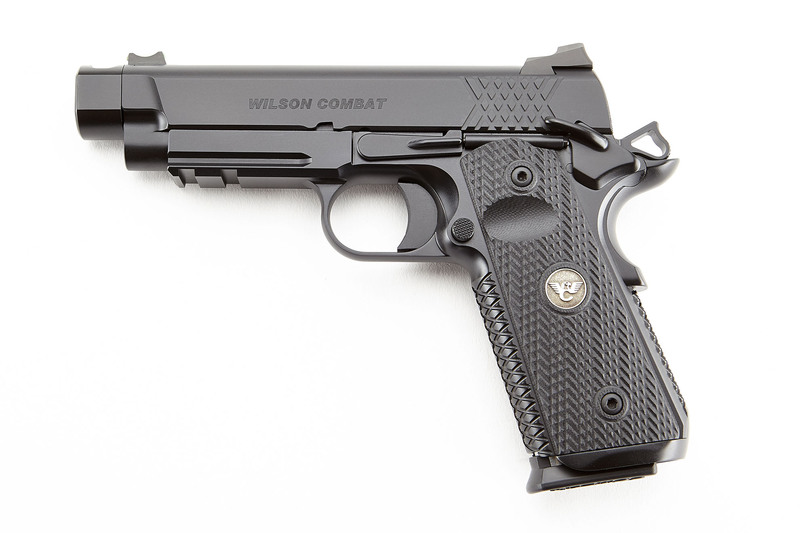 The New Wilson Combat X-TAC Elite Carry Comp is available in 9mm and .45 ACP for the ultimate soft shooting and accurate carry gun experience. Our exclusive compensator design tames muzzle flip with high performance carry ammo and reduces perceived recoil of your Compact or Professional size pistol to less than that of a full-size gun. This one-piece billet machined compensator barrel has no threads or joints to loosen and the short but efficient profile fits in any standard, full size 1911 holster. The legendary Wilson Combat X-TAC tread pattern is known for rock solid traction and high round count shooting comfort. Coupled with performance options like our reload-enhancing one-piece Bullet Proof® Magwell and carry options like the concealment hammer and grip safety the X-TAC Elite has all the right custom features and striking good looks. 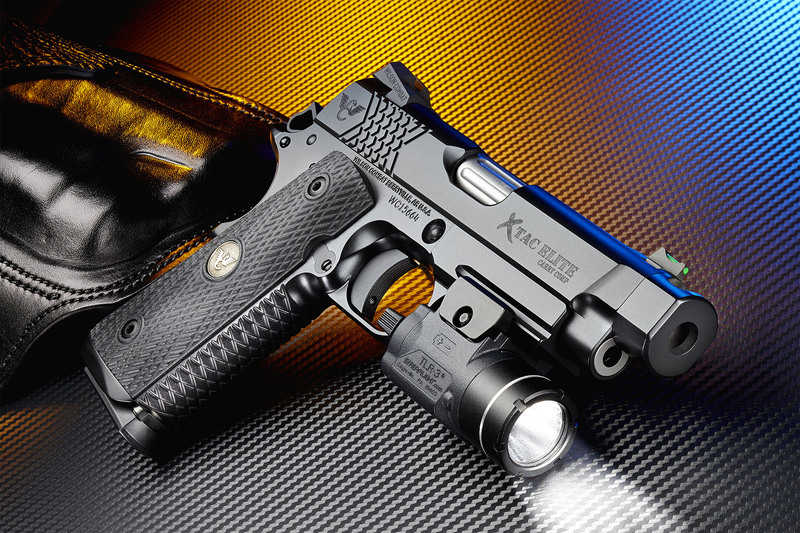 Other options like perfectly executed top and rear of slide serrations cut down glare on bright range days. Extra detail is lavished on the X-TAC Elite slide with machined carry cuts, ball endmill cuts and a heavy machined bottom slide chamfer that enhances cosmetics, streamlines your pistol’s profile and reduces sharp edges. 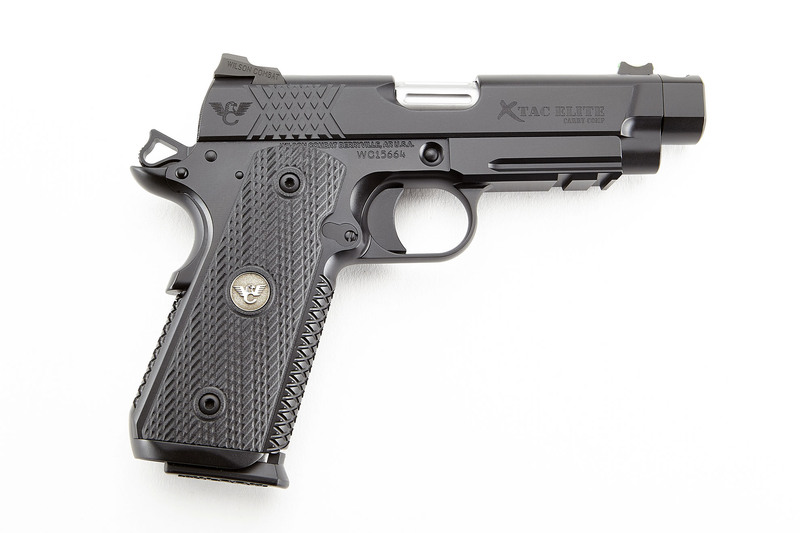 The X-TAC Elite Professional is the perfect marriage of a full size grip frame and 4”, Compact slide for a fast-handling, concealable carry gun. The bi-directional, X-TAC frontstrap and slide treatment offer enhanced grip and improved durability over traditional checkering in severe and hard-use environments. Scientifically designed by Bill Wilson to work with dry or wet hands and with or without tactical gloves, the X-TAC pattern redefines secure shooting comfort and gunhandling without the coarse, painful nature of other grip treatments. In tandem with our slant pattern grips, the X-TAC tread pattern locks securely into the firing hand and will reduce muzzle flip without snagging on clothes or cover garments.